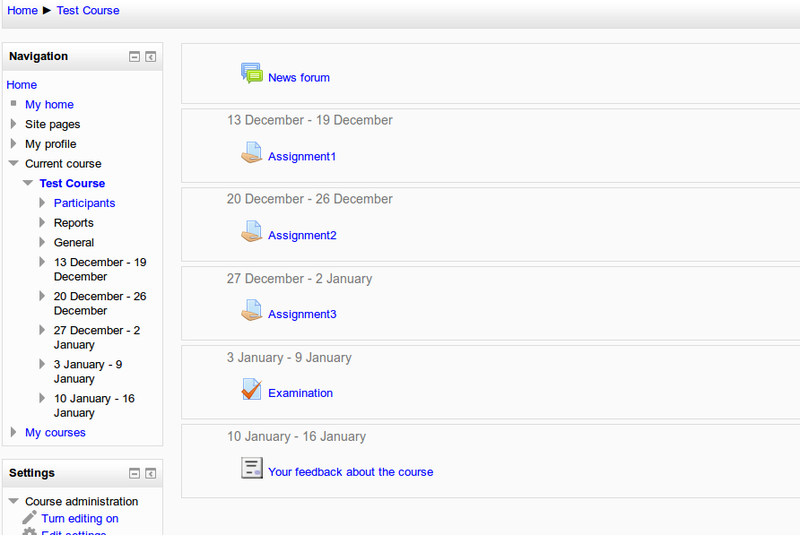 Now Moodle courses can be published in our online courses directory very easy. 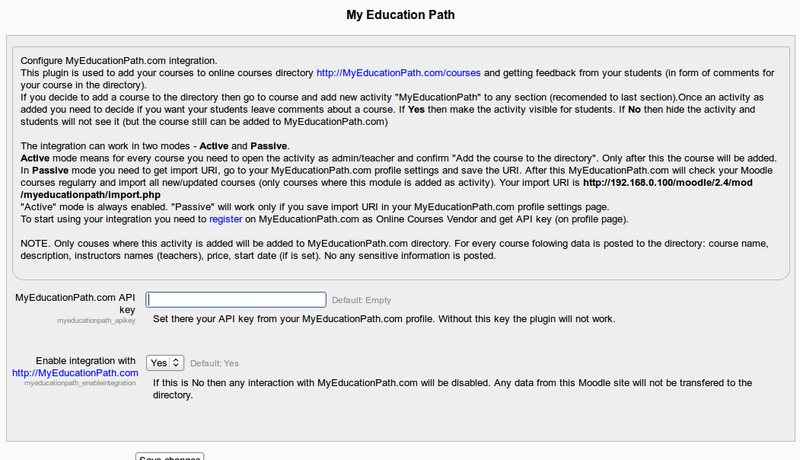 We created the plugin “My Education Path” for Moodle. 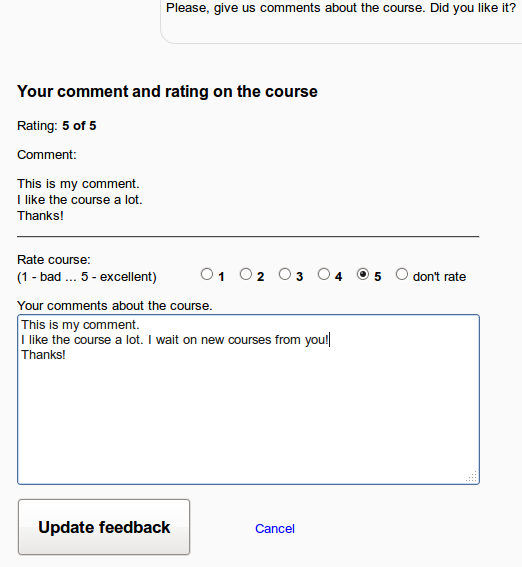 The plugin helps to do two things: publish courses in the directory and get feedback from students about a course in form of comments and ratings. 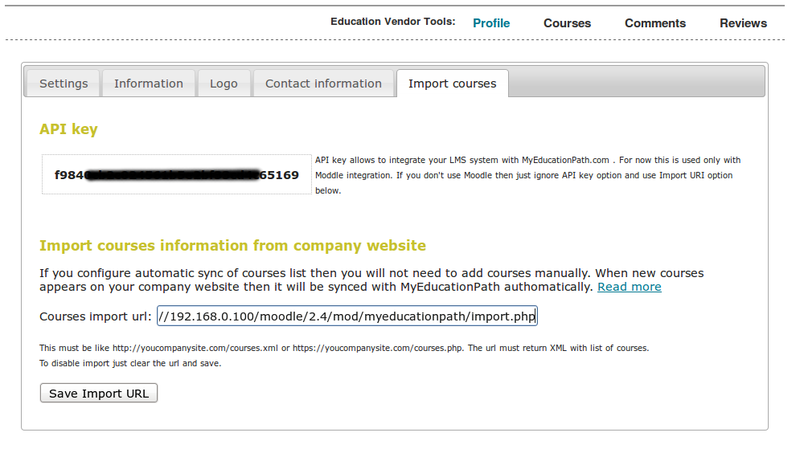 Details about the Moodle plugin My Education Path. 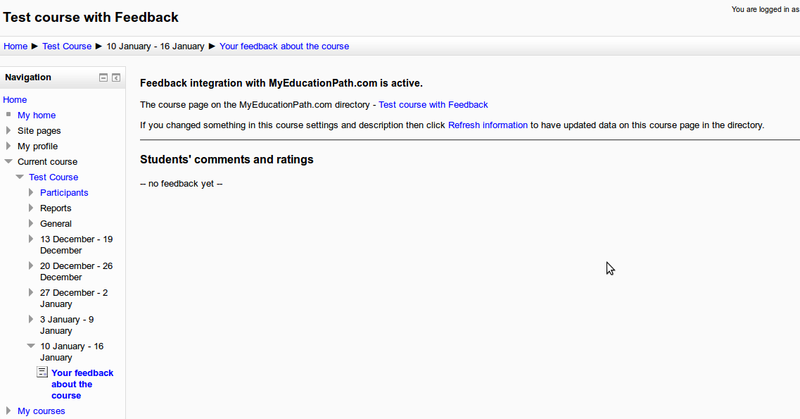 We are very interested in feedback from Moodle sites administrator and teachers about the plugin. In future we plan to extend the plugin to allow Moodle courses students to add their courses to Personal Education Passport. This entry was posted in courses directory, Integrations, Moodle, ratings and tagged courses directory, feedback, moodle by admin. Bookmark the permalink.